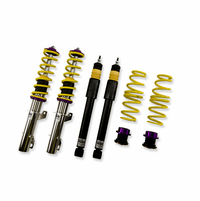 The KW Street Comfort coilovers, for your comfort-oriented driving pleasure. 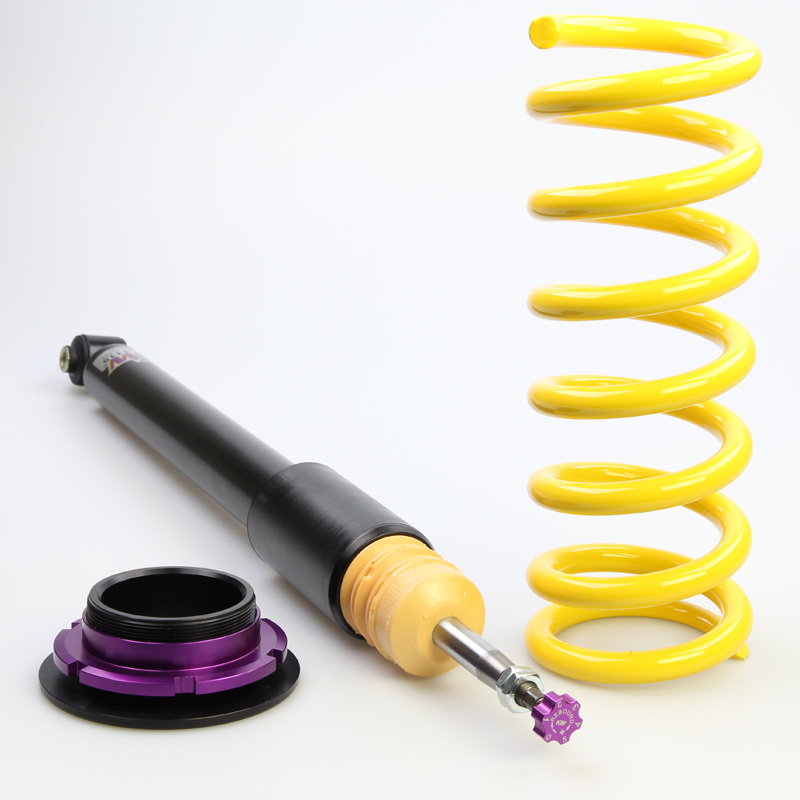 If your original suspension is too hard for your everyday life or even the comfort of your installed aftermarket suspension kit KW Street Comfort sport suspension is the perfect solution for more driving comfort. It combines a minimal lowering within the vehicle-specific adjustment range of ten to 40 mm with a comfort-oriented damper setup developed from KW test engineers in numerous test runs in everyday life and on our KW 7-post rig. Whether on long trips on the motorway, or many miles on country roads, with KW Street Comfort coilovers you can enjoy a comfortable setup. 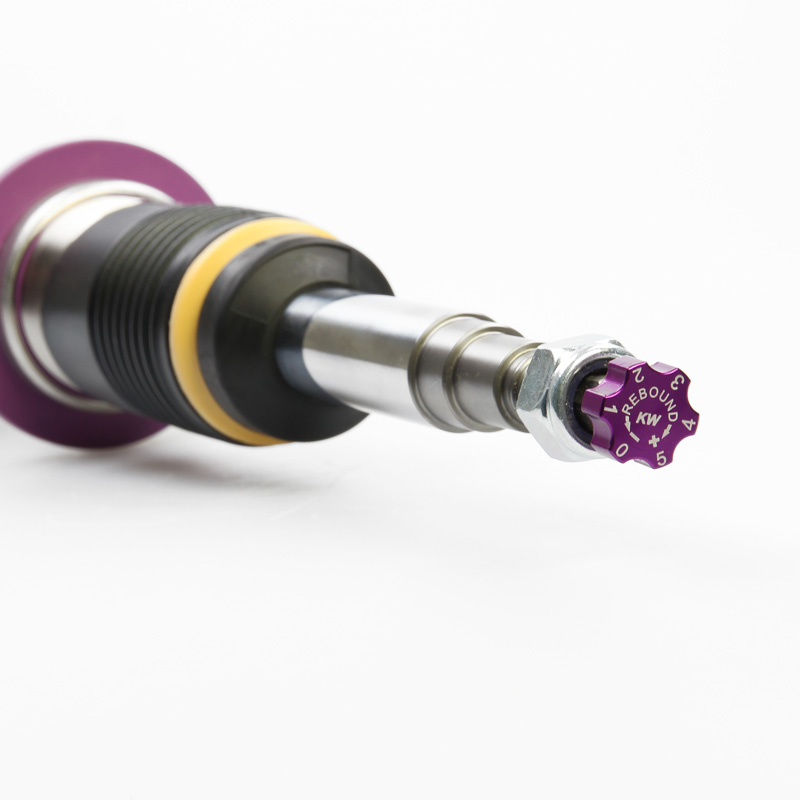 The shorter KW damper housings enable a comfortable setup despite the lowering. 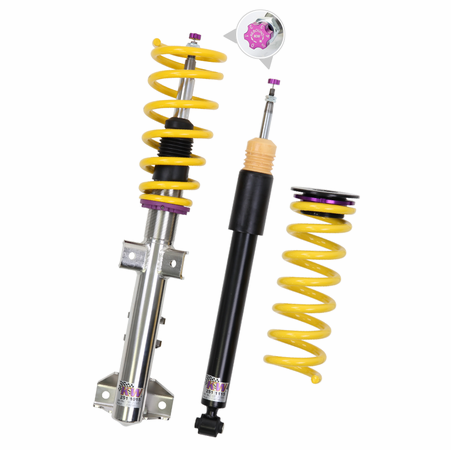 The KW Street Comfort coilovers include comfort-oriented damping and spring characteristics which are perfectly adjusted to each other. Additionally the KW Street Comfort coilovers allow you to individually adjust the rebound damping to suit your driving style and your sense of comfort. 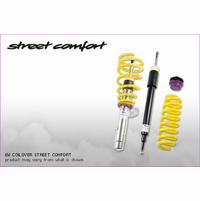 Adjustable comfort - "no more hard times"
With KW Street Comfort coilovers you can influence the handling and comfort by the individually adjustable rebound damping. With 16 precise clicks, you can adjust the KW dampers to a be more comfortable or a little firmer without affecting the compression damping. By increasing the rebound force with the adjustment wheel, the body movements are reduced. Your has more directional and cornering stability. 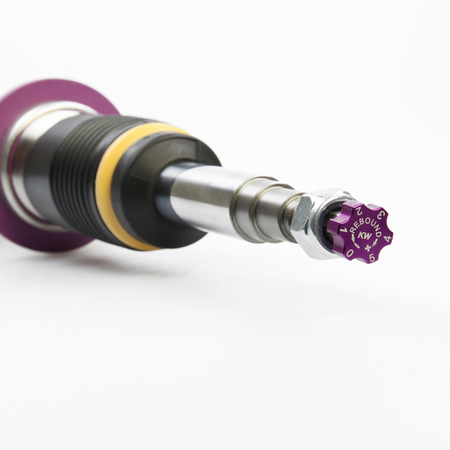 If you change to bigger wheels than the wheel / tire combination which came from the car manufacturer, you can adapt the rebound damping to the driving behaviour of your car and your new alloy rims perfectly. Or you can reduce the rebound forces with a few clicks to gain even more comfort - just as you have always desired from a sport suspension. 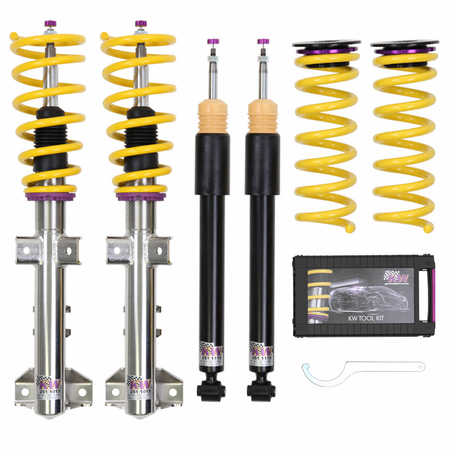 The KW Street Comfort coilovers made in stainless steel technology "inox-line" enable a vehicle-specific lowering within the T�V-tested adjustment range of 10 to 40 mm. 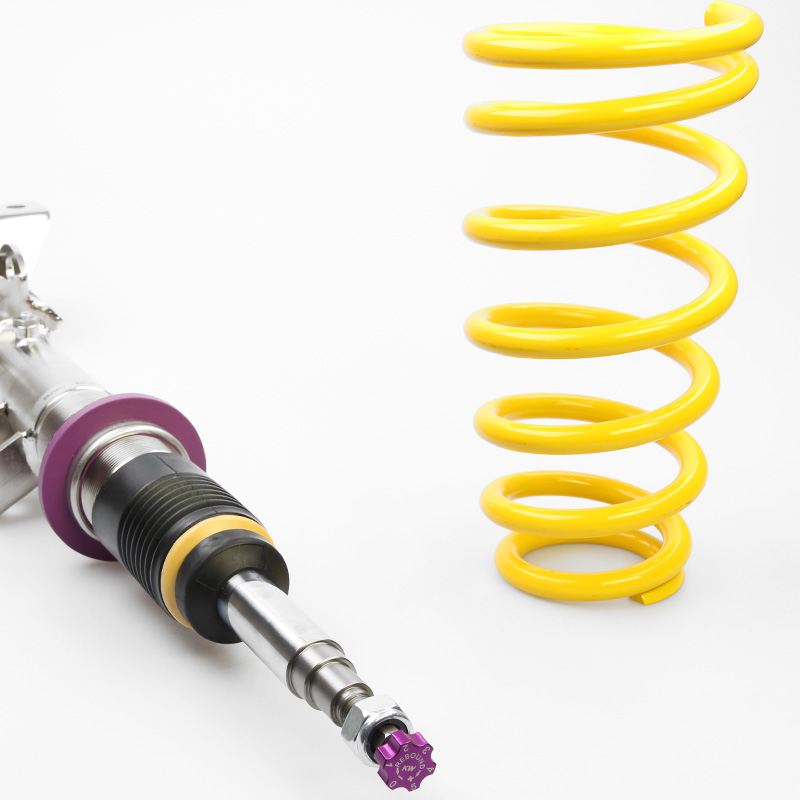 So you do not have to accept a fix lowering of a conventional spring kit any more. 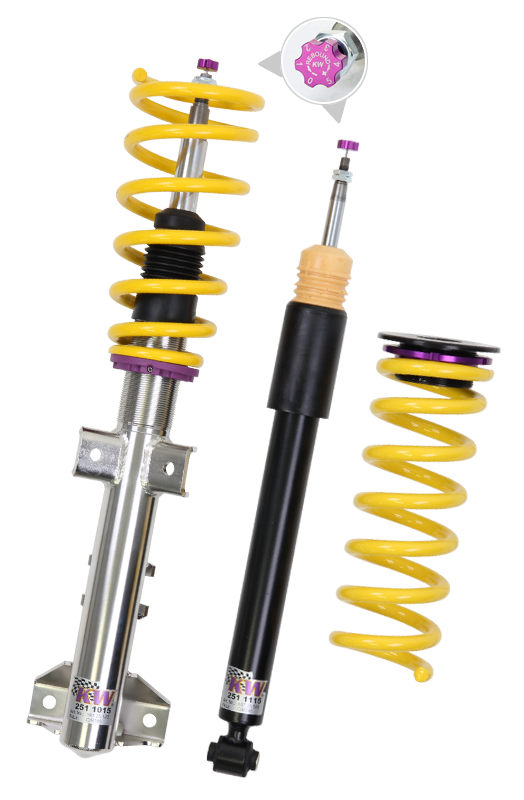 Due to the delicate processing and use of high quality components, the KW Street Comfort coilover struts in stainless steel are 100 per cent corrosion-resistant and have an unlimited life. The functioning of the lowering in connection with the dirt restistand trapezoid thread and the composite collar will not be affected even after many years of driving. With the individual lowering adjustment range, you can emphasize the sportiness of your vehicle visually.